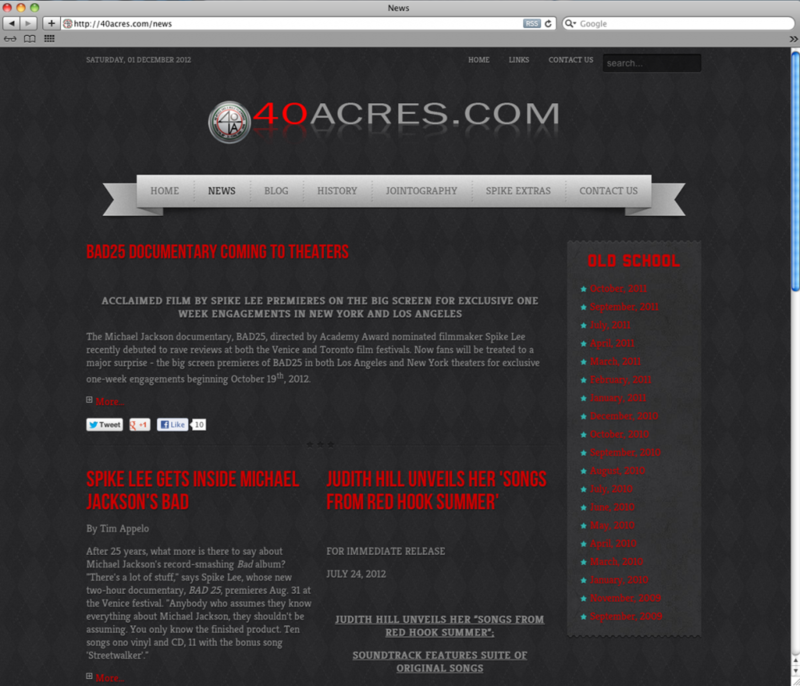 40 Acres is a website for the Brooklyn based production company lead by director Spike Lee. 40 Acres had a website that had not been maintained properly and had started malfunctioning because of the lack of care. We put a band aid on the problem to make the old website functional while building a replacement site. We created a new Content Management System for 40 Acres and have been making updates every since to make sure the site will function for a long time.